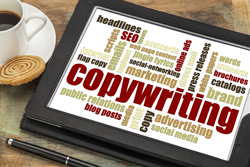 Research, he says, is the key to at least 75% of copywriting success. It makes you sound as if you know what you are talking about— which goes a long way toward neutralizing the BS-detector that most of your customers use to screen out marketing-ese. And it is easier to accomplish than many business people think. You do not need to hire the Gallup Poll organization to develop highly valuable information about your customers and how they relate to your product. All you have to do is to ask purchasers for feedback. Make an informal postcard survey of your customers, especially new ones. Or contact them directly on the phone or by e-mail messages. No matter what you are selling, you can unearth (sometimes surprising) benefits about your product that you can offer profitably to future customers. How do people actually use your product? Find out which market areas your competitors seem to be ignoring. Tighten your marketing focus to an empty niche you can fill. You may have larger competitors with deeper pockets than yours. But, if so, you are probably more agile, and less bureaucratized, than they (remember the dinosaurs). Always remember that you do not need a million customers to earn a profit, Dean notes—you may need only a thousand to make money. Your mind never quits humming. After you complete your researches, take a snooze … or go to a movie … walk around the block a few times … play a game of tennis or shoot a round of golf …relax. Give your brain a chance to kick in, without working under forced draft. You may be amazed to discover new ideas popping to the surface of your mind. If you set to work immediately, they may stay buried, unperceived. Relax, and you may find that you have come up with a delightful new concept or two, or maybe more.